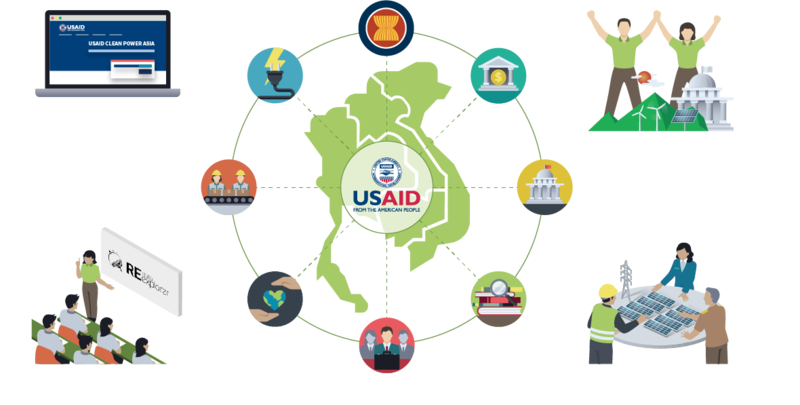 USAID Clean Power Asia works closely with partners and stakeholders across the region to build strategic relationships with organizations whose missions align with and complement the program. The ASEAN Center for Energy is a subcontractor, and international bodies such as the International Energy Agency and the International Renewable Energy Agency are engaged in program events to share lessons learned and best practices from across ASEAN. The program helps to promote enhanced regional cooperation by encouraging government counterparts and private sector actors to view one another as partners and collaborators, to gain an appreciation of the others’ needs and capabilities, and to begin to understand how to utilize the wealth of resources among them. The program employs regional and international partners to share knowledge and lessons to benefit those contemplating similar steps in their systems. ASEAN member states have more to gain from coordinated efforts and knowledge sharing than they do going it alone in this rapidly evolving space. USAID Clean Power Asia ensures that coordination and learning are built into all activities and provide value to USAID and the many actors along the renewable energy value chain.